Google’s numbering of the update as 2.1 indicates that this is supposed to be a minor update. According to Cutts, it will affect around 1% of all searches. Over the weekend, webmasters and online marketers have been reporting drastic drops to their rankings site wide and significant decrease in site traffic, with some webmasters reporting up to 70% drop in traffic volume. The latest updates on forums show that the drop was not permanent for some, reporting that their traffic is back as of early this morning. SERPs.com showing SERPs volatility rising from 37.3 on Thursday to 45.2 on Friday. 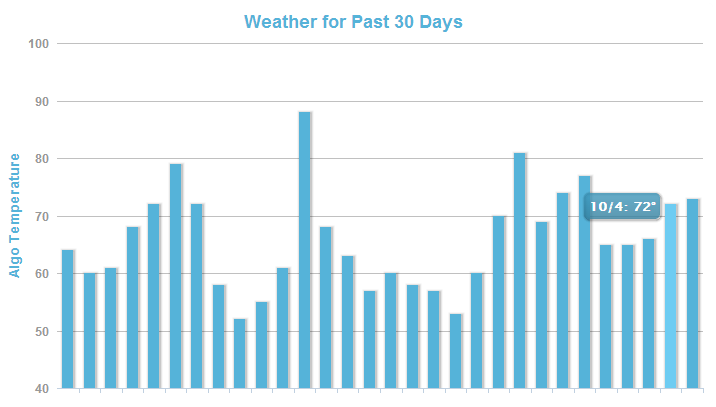 MozCast showing SERPs weather increase from 66 degrees on Thursday to 72 degrees on Friday. This continued to rise Saturday at 73 degrees. As I’ve mentioned earlier, those who reported drastic changes in their traffic in webmasters’ forums have already updated that their site traffic was back to normal after a day or two, indicating that the change that took place was because the algorithm is still stabilizing. My observations so far reveal that Google may be right in calling this update minor after all, as the effects I saw were not as vast as earlier reported. 5. We build high-quality links with diversified anchor texts to dilute the undiversified anchor text and backlink portfolio. Call us today if you have been hit by Penguin 2.1, or if you want to strengthen your current position on the SERPs. We’d be glad to help you recover from this and other algorithm updates from Google.